RingCentral is a popular phone system designed to make business communications easy to set up and manage from the start. Business executives and agents can use this single phone solution to engage in voice communications, online meetings, business conferences, and more. The system is cloud-based which means you can save the costs on software, hardware, training, maintenance, space etc. This helps companies to save resources and time, while at the same time making use of RingCentral’s top notch quality and capabilities. In this article, we take a detailed look at the RingCentral pros and cons to provide you with a good evaluation of its features and benefits so you can decide if it’s a system that you can use in your company. In our test of popular cloud phone systems our experts have given RingCentral an impressive score after evaluating its main features such as ease of use, customization, integration, help and support, and more. RingCentral offers flexible pricing plans that are suitable for the needs and budget of both small companies as well as large enterprises. There is also an excellent free trial plan which gives you the opportunity to test drive the application’s features free of any cost. It allows you to save money while figuring out how this phone system can help to boost your business growth. You can easily sign up for RingCentral free trial here. Setup takes just minutes. Simply register for an account, configure the settings, and your phone system is set up using the Internet. The vendor provides you witn an advanced phone system with all the standard PBX features, plus extra functionalities such as call management, online meetings, app integration, data security, mobile extensions etc. You will receive a phone number in your email after which you can log into the RingCentral website to create extensions, enable an auto call attendant, set call queues, organize call groups, and configure rules for voice mail, call routing/blocking, and call forwarding. In short, you can do in a day on RingCentral what takes a week on traditional PBX systems. If you have complex phone configurations such as requesting a vanity number or transferring existing numbers, it can take a day or two more. The vendor’s support team will guide you through the on-boarding process for a smooth transition. RingCentral has a decade of R&D supporting its system and 300,000 deployments to fine tune the application. Its end-user interface is developed for non-technical administrators. You don’t need to install any hardware or do any technical configurations. The most complicated task is not about the software; it is about developing your call management rules for company-wide settings and individual extensions. Work out the rules and with only a few clicks you can set up the system for answering calls, call screening, call forwarding, alerts, recording, and missed call notifications. You just need to sort out which rules should be assigned to which departments, groups, and users. Web meetings are consistently stable. There are no audio issues, connectivity challenges, or dropped meetings. The vendor is also constantly working to improve the phone system and make it more robust and effective. Our detailed analysis of the RingCentral pros and cons shows that is definitely one of the best phone systems available in the market in terms of excellent features and reliable customer support. The vendor offers flexible pricing plans to suit your company’s needs and budget. It’s also possible use the great free trial plan to better understand how the software can be useful for your company. 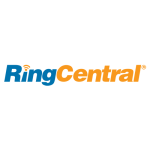 You can easily sign up for RingCentral free trial here.